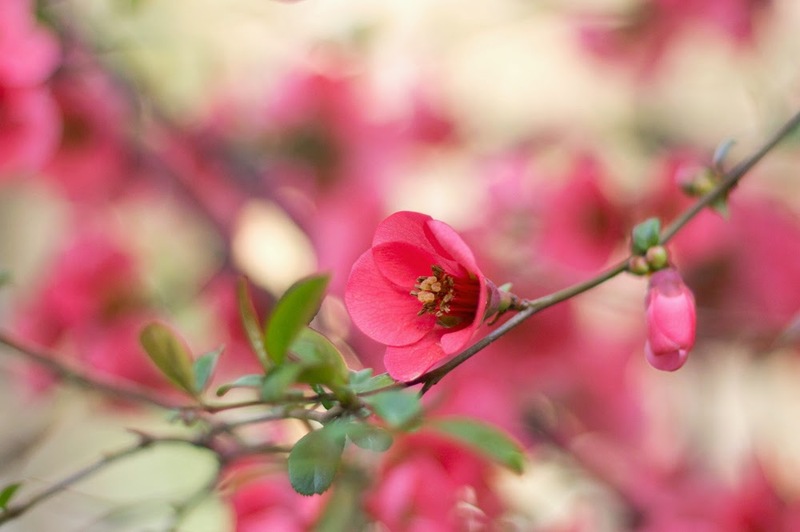 In the spring, Uzbekistan is full of flowers - whenever you look, you will see a tree in bloom. 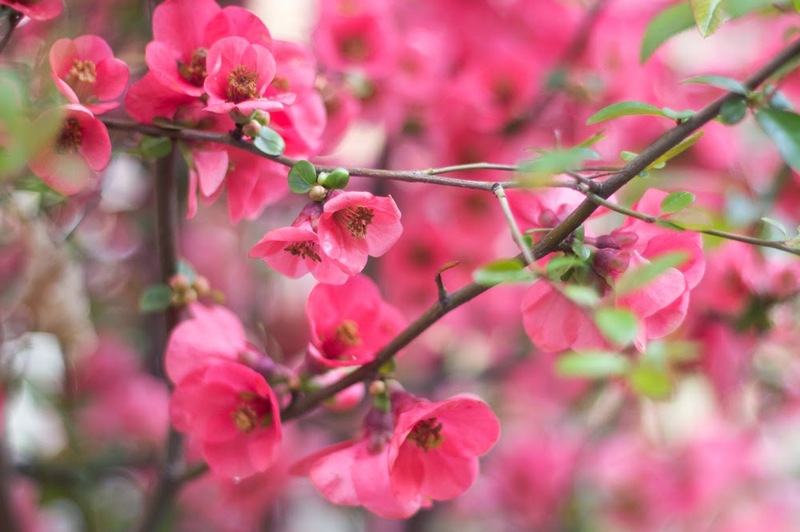 Cherry, apricot, almond, apple... All of these are lovely, and it is hard to choose a favorite, but Japanese quince certainly stands out. 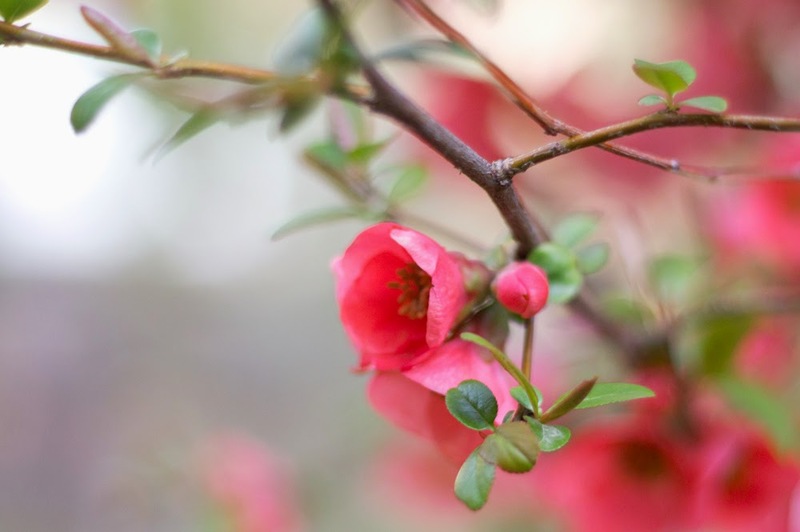 I adore these abundant coral flowers; it is a pity that they will disappear soon. I must enjoy their beauty while I can. Beautiful pictures - I love the colour of this! Thank you, Jade! I find this colour fascinating, too. Great photos and what beautiful trees! !